Ravi has a real knack for making use of normal, everyday objects as part of his repetoire. His tricks are highly visual, easy to do and they get great reactions in the real world. It won't take you an age to competently perform Ravi's effects - invest a short time to practice and then you can deliver accomplished results without any complicated sleight of hand or unnecessary, complex routining. In short, you'll be amazing people before you know it! 'Real Counterfeit Money' is a terrific money change effect and 'Corner Light' is a spectacularly devious little number - leaving part of a spectator's selected playing card sealed inside a lighter. You can even give the lighter as a memento to the spectator! How does he do that? 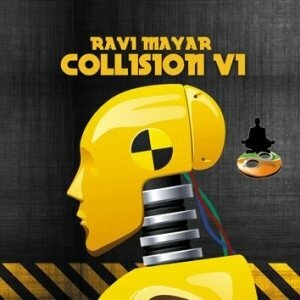 Find out, and more, on Collision Volume 1 from the talented Ravi Mayar. A superb in your face money change! Ask the spectator if they have seen your Real Counterfeit Money show them a copy of a bill then right in front of them ink the bill into REAL MONEY with your bare hands. Physically impossible! Show a sealed tic tac box, show a ten pence coin, then spit blow the ten pence into the sealed tic tac box and hand it out to the spectator. Visually stunning! Borrow a credit card and show the strips found on back of the card. Now just with your finger tips peel the identity strip completely off, restore it and return the card with your hands completely empty. Scream then an eery silence! Show a zippo lighter(any lighter) and a box of matches. Have the spectator take out a match and close their hand around it. "Do you believe in voodoo!? The spectator opens their hand to discover the match is now half burnt. Relight the half burnt match in their hands.